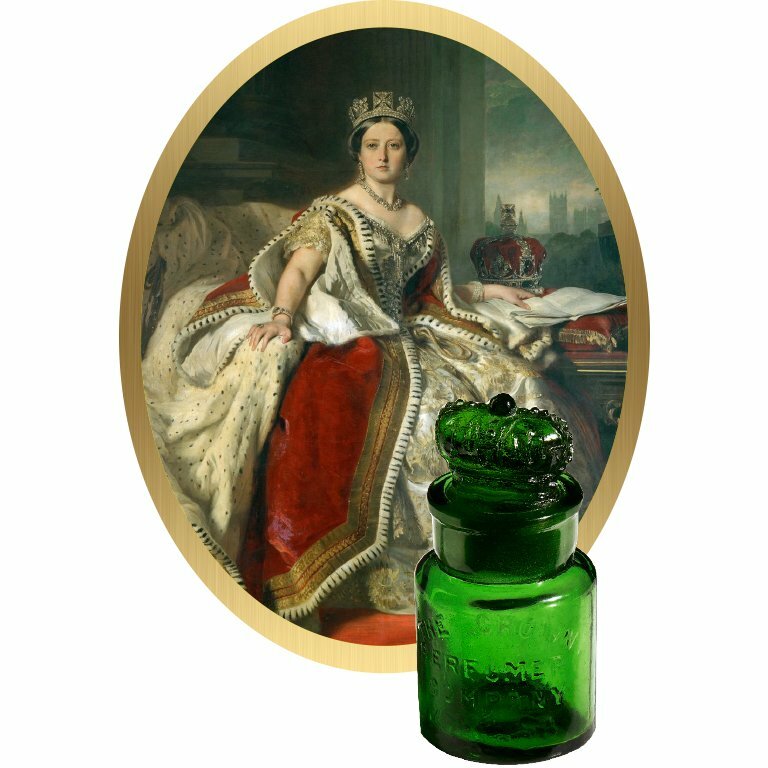 In 1872 The Crown Perfumery was established in London and its most famous customer, Queen Victoria, granted the use of the image of her crown on the perfume bottles. 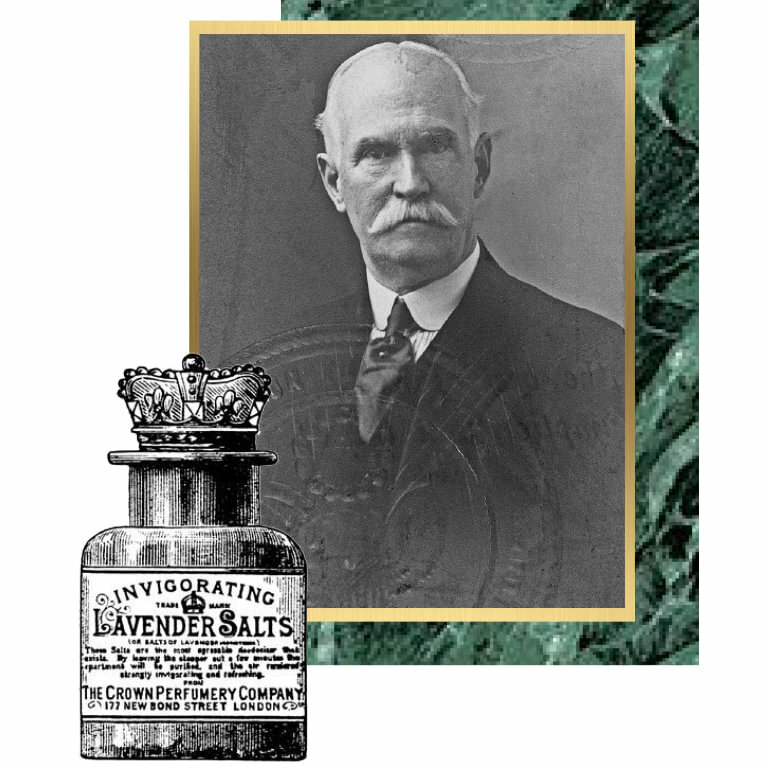 The history of The Crown Perfumery begins in New York where a Gentleman named William Sparks Thomson manufactured perfume and soap. The same Mr. Thomson opened a corset business in London in 1840. Sometimes Thomson’s female clients would faint due to the tightness of the high busted corsets. It was Thomson’s son William, a chemist, who came up with the brilliant idea of producing lavender based smelling-salt to revive the fainting ladies. The production of smelling salts was soon followed by the creation of the first extra concentrated perfume called Crab Apple Blossom in 1865 – the first ever perfume from the fragrant blossoms of the crab apple tree. A delightful and delicate perfume worn alone or layered with another scent by Thomson. The fine perfumes created by Thomson were highly sought after by the elite of the day. In 1872 The Crown Perfumery was established as a subsidiary of Thomson, Langdon and Co and its most famous customer, Queen Victoria, granted the use of the image of her crown on the perfume bottles. The Crown Perfumery was counting the high society of London and Europe to its clients and gained in status for its high-quality perfume, making it present in the boudoirs of palaces and mansions. Should one not be of an elevated rank or certain social standing one would feel like nobility by owning a Crown Perfumery product. By the 1920s, The Crown Perfumery had won over twenty medals indicating the quality of its products.On 30 June 1921 William Gossage & Sons Ltd, (a subsidiary of The Lever Brothers Soap manufacturers), purchased the Crown Perfumery Company. In 1930, The Lever Brother’s merged with a Dutch company forming Unilever. The invigorating qualities of the Crown Perfumery Lavender Salts were chosen by Amelia Earhart, the first female pilot to fly solo across the Atlantic, to accompany her on her voyage to aid her focus concentration and to avoid fatigue. The Amelia Earhart Collection at Purdue University features the bottle used by Amelia during her 1932 solo flight. 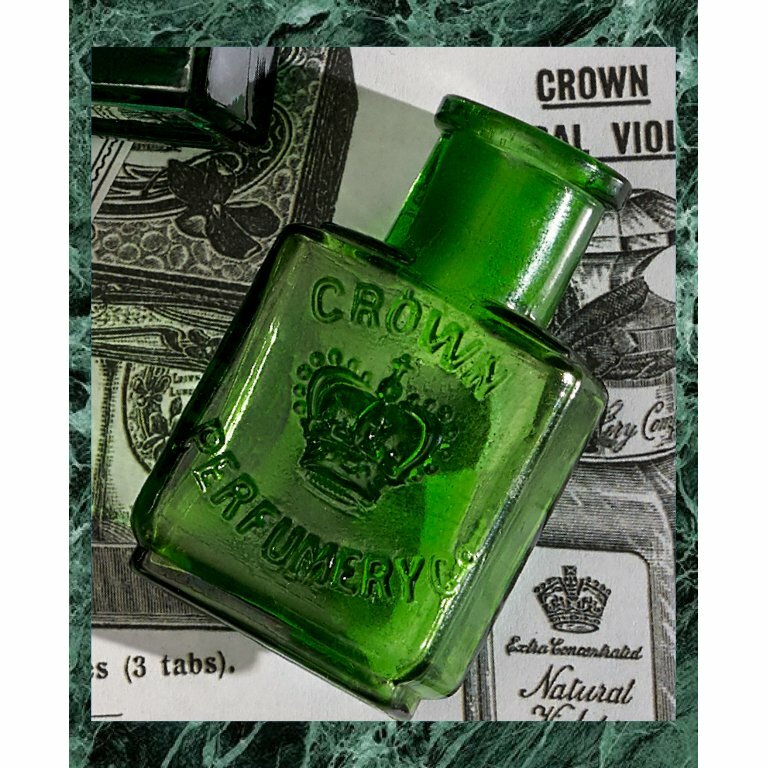 On 31 December 1937 the Crown Perfumery Company ceased the manufacturing and supply of its products and on 20 June 1989 The Crown Perfumery Company was sold by Unilever. In 1993 Crown Perfumery’s best-selling perfumes were revived and a boutique in London was opened. Legend has it that ‘Alpine Lily’, a perfume from the 1890s, was a favourite of Princess Diana. Whilst strolling through the Burlington Arcade, Clive Christian OBE discovered the Crown Perfumery and realised the opportunity to breath new life into a perfume house with such an exciting and unrivalled heritage. 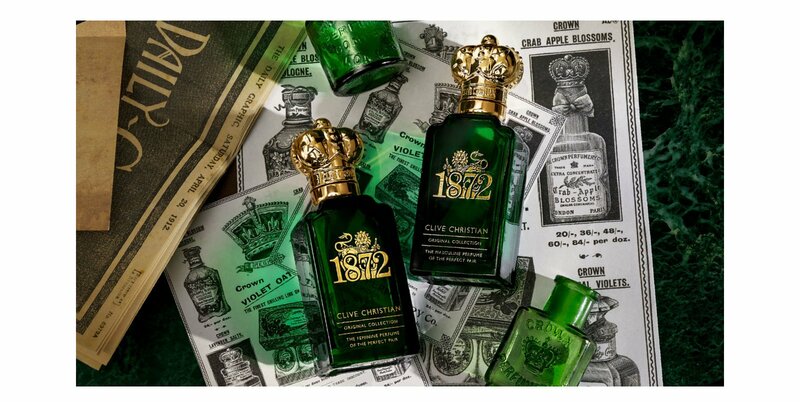 The Crown Perfumery was resurrected as Clive Christian Perfume, and the inaugural Original Collection of perfumes were launched in 1999. In doing so, he restored the craft and tradition of haute perfumery, bringing back to life perfumes that are fit to wear a crown. 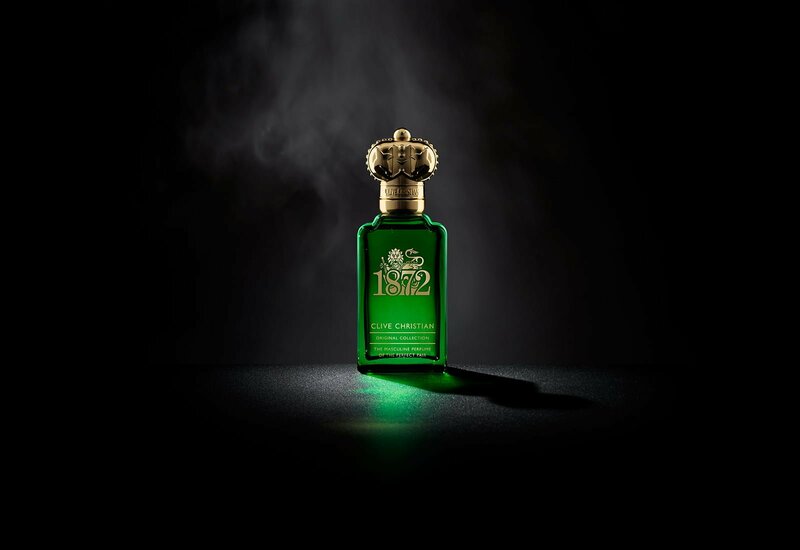 The iconic 1872 perfume, which is part of the Original Collection is Clive Christian’s ode to this rich history. It was the year The Crown Perfumery was established and the year Queen Victoria gave permission to use her crown. The Crown Perfumery is established as a subsidiary of Thomson, Langdon and Co.